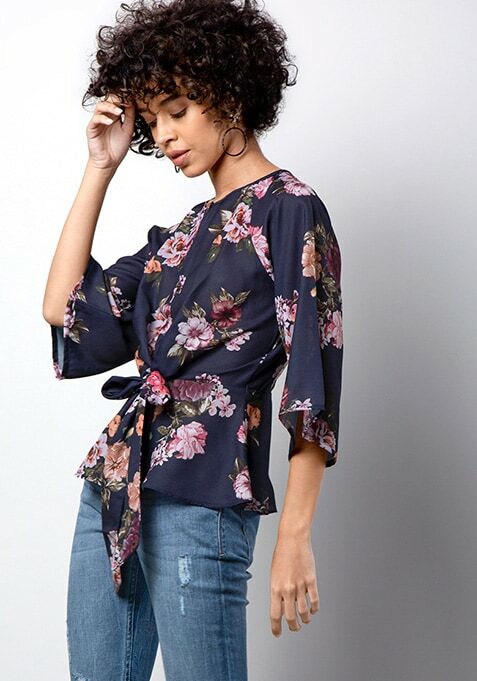 Elevate your weekend look with this dreamy blue top that features floral print. This V-neck top has three quarter sleeves and a tie-up for a silhouette hugging fit. Work It: Style this top denim shorts and complete your look with metallic sneakers for that super cool vibe.